How Do I Know if I Have Mitochondrial Disease? Mitochondria are responsible for creating more than 90% of the energy needed to sustain life and support organ function. They are like tiny factories in each of our cells that turn the food we eat and the oxygen we breathe into our body’s major energy source. Because the mitochondria provide our cells with the energy they need to function, when they fail, we suffer. The problem is that mitochondria are very sensitive to damage that cause mitochondrial disease. This is triggered by genetic mutations – specific changes in the genetic material. At least 1 in 200 individuals harbor a mitochondrial mutation. Every 30 minutes, a child is born with mitochondrial disease. In Canada, we estimate that more than 5.5 million adults suffer from diseases, in which mitochondrial dysfunction is involved including diabetes, kidney, liver and heart disease, Alzheimer’s, ALS, Parkinson’s, stroke, autism, cancer, blindness, infertility, deafness, chronic fatigue syndrome and more. 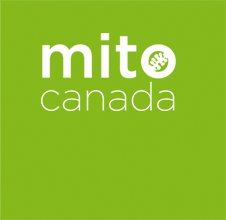 MitoCanada exists to help transform the outlook for people with mitochondrial disease. We are committed to support those who live with the disease experience the best possible quality of life. MitoCanada estimates that over 220,000 Canadians suffer from mitochondrial disease – most do not know. Care can only begin when you have answers and that requires a proper diagnosis. If you or someone you love is suffering from unexplained symptoms that could be related to mitochondrial disease, please take the MitoCanada mitoTEST now.